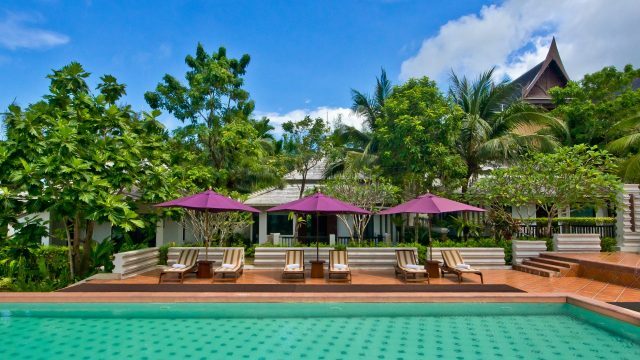 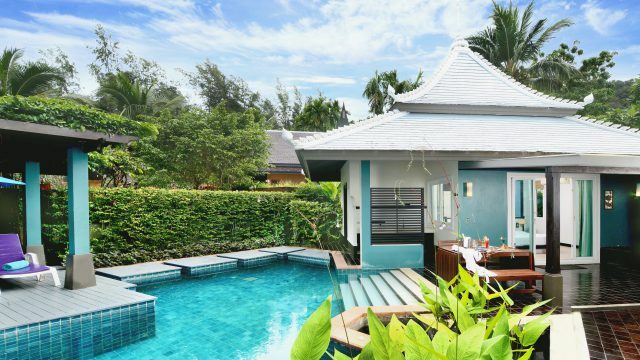 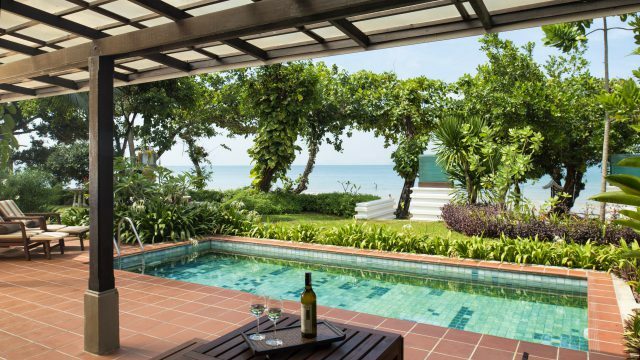 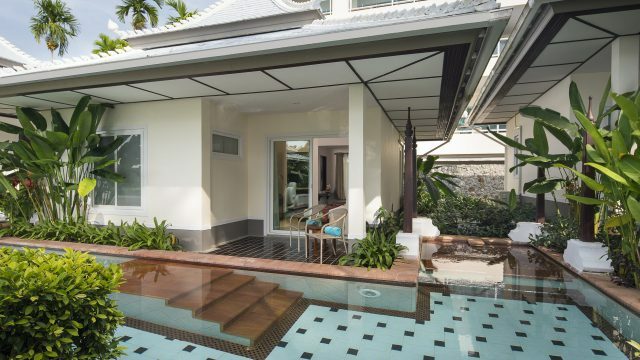 Chill out with lovers in elegant villa by the beach with arresting ocean views, swim laps in the private swimming pool (9×7 m.) and embrace the tranquility of this secluded Beachfront getaway. 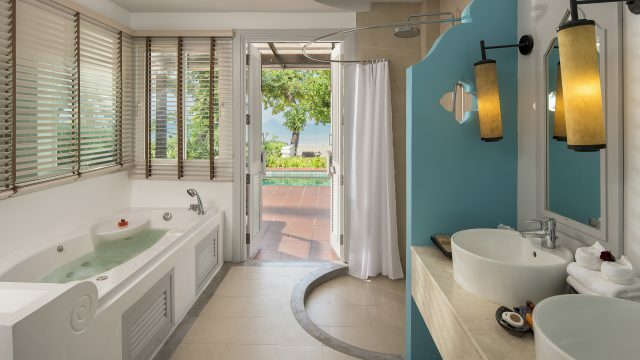 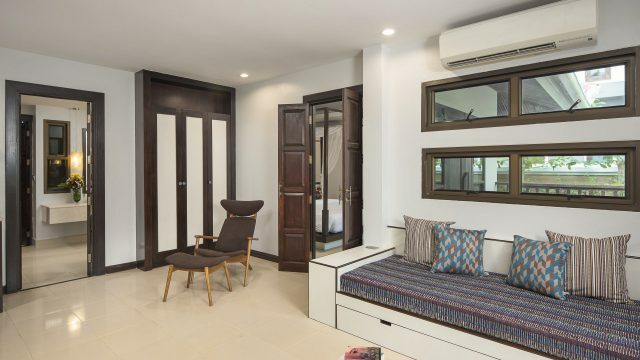 It features one plush bedroom with king-size bed, a bathroom with rain shower and stand-alone Jacuzzi. 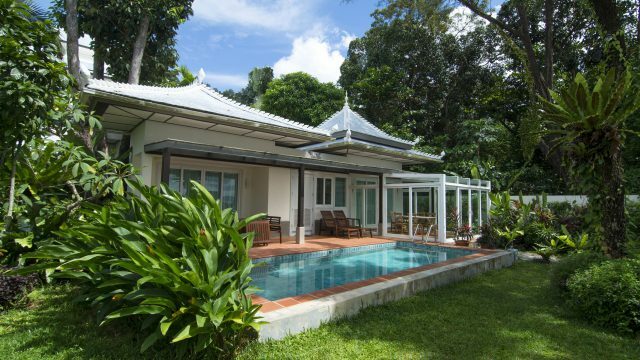 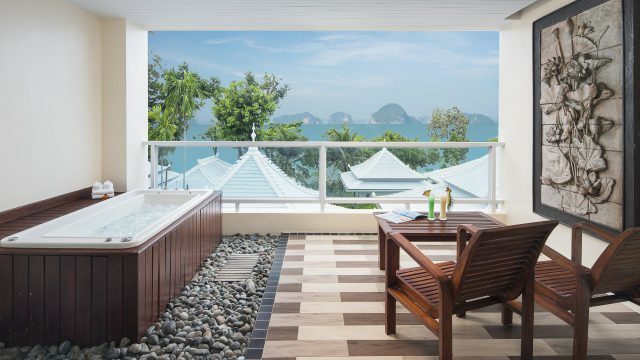 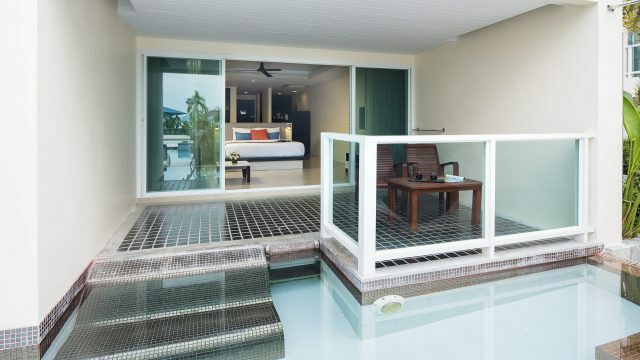 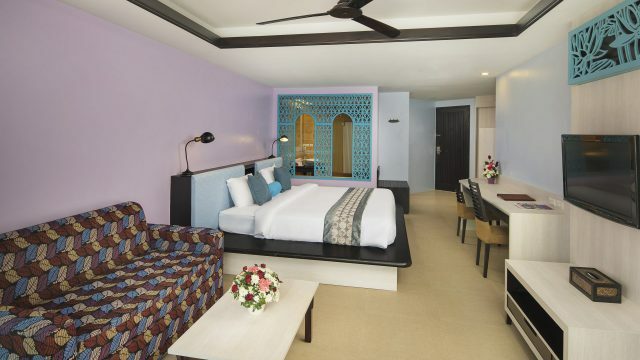 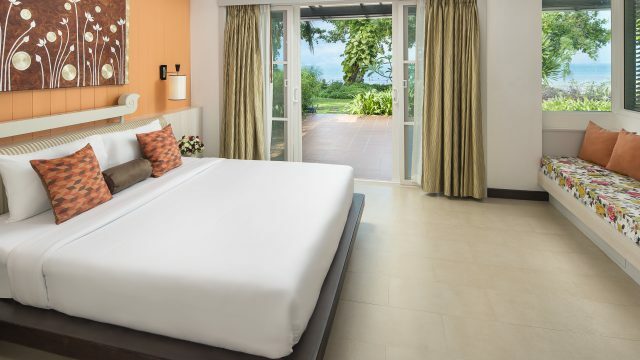 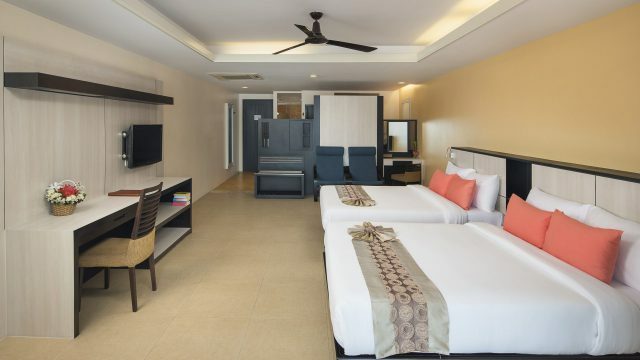 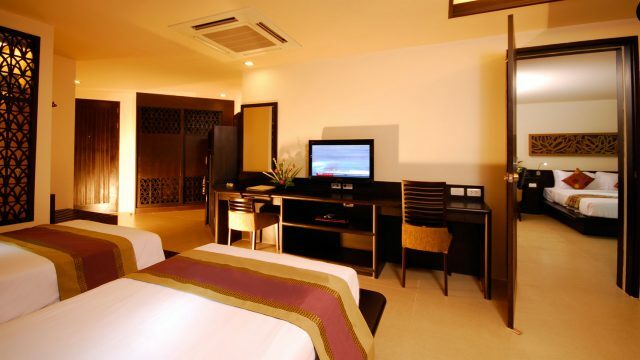 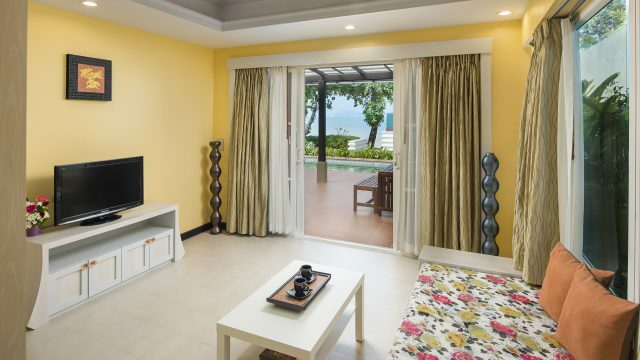 Its highlight is a sala area opens to panoramic sea view of the Tubkaek Beach and the Hong Islands.